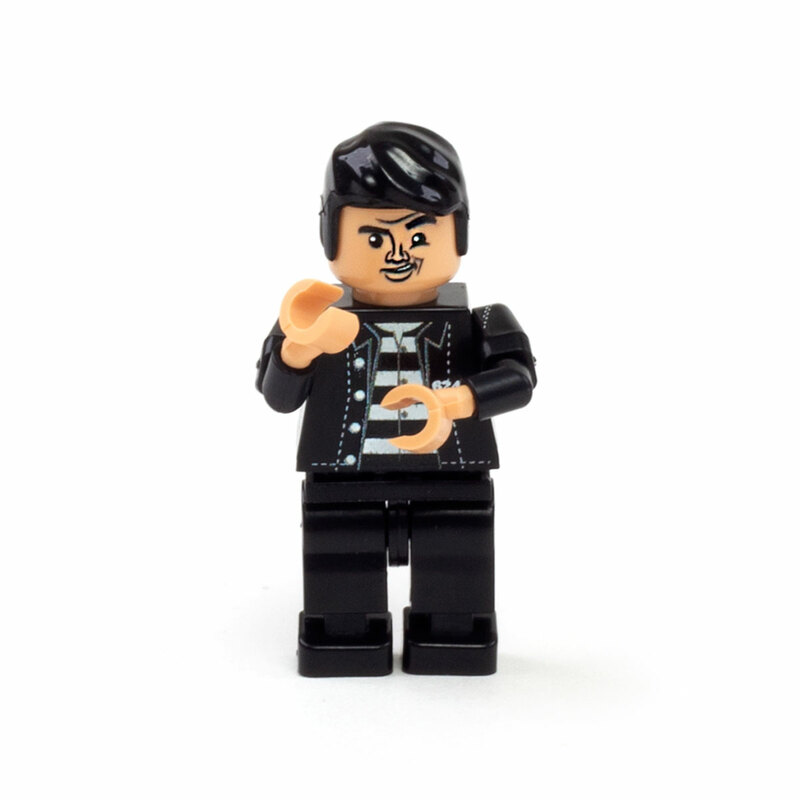 Let’s Rock Everybody! 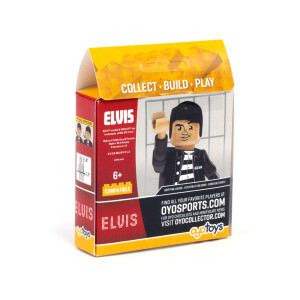 Here’s the newest Elvis collectible mini figurine sporting his signature 6240 inmate number. 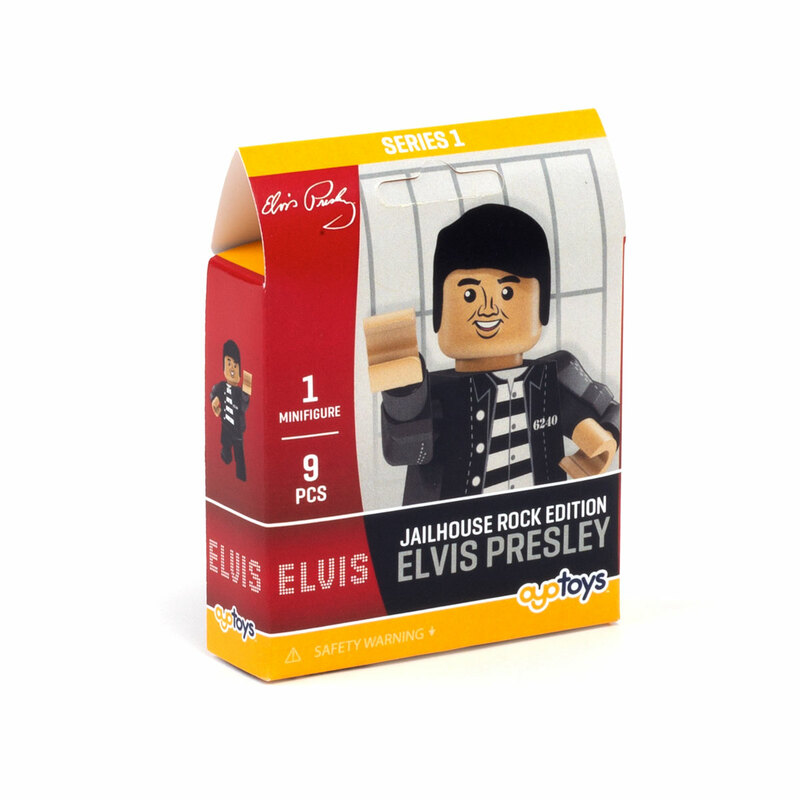 This unique item is sure to be a must have for any Elvis fan! 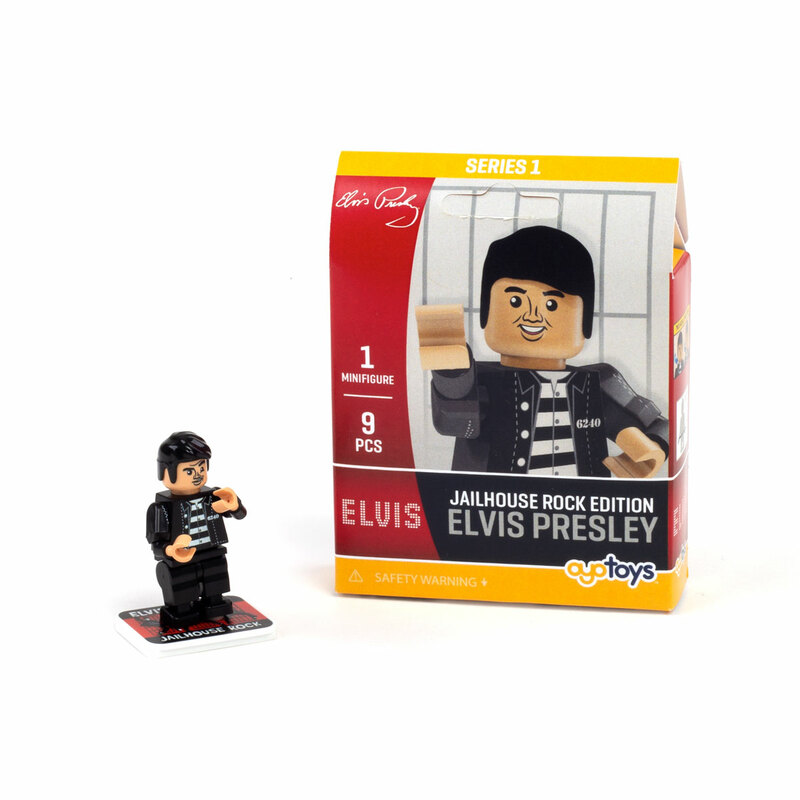 Love the Elvis lego! Got the 2 pieces so far - no doubt there will be more? The little guys flew all the way to Melbourne, Australia for me. 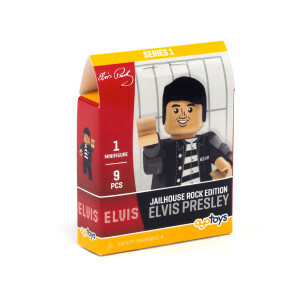 Perfect stocking stuffer for both my grandsons who loved watching Jailhouse Rock on youtube when they were little! 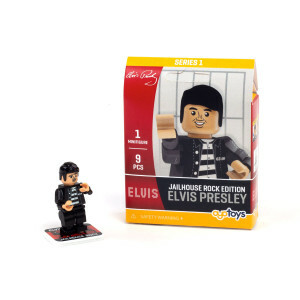 Awesome new Elvis Mini figure! He is so cute and so unique! A great new Elvis collectible for all Elvis collectors!